This rare expression of Napa Valley winemaking is one of only 240 bottles that will ever be made. Think of it as a bit of Napa Valley history in your cellar and celebrated in a glass with friends and family. 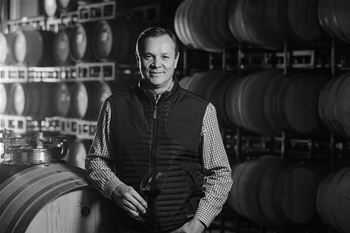 St. Supéry’s winemaker, Michael Scholz, in collaboration with world-renowned oenologist, Michel Rolland, crafted your Premiere Napa Valley wine to capture the essence of the Rutherford nested appellation. Micro-parcels were selected for their purity of fruit and were used to create the finest example of Rutherford Cabernet Sauvignon. Small amounts of Merlot and Petit Verdot were added to the final blend to create a wine that has highly concentrated black fruit flavors, with a hint of mocha. The wine has velvety tannins and a deep, complex finish. Michael was raised on a vineyard in Australia's Barossa Valley that his family settled six generations ago in 1845. While Michael's informal wine industry training began in childhood, his winemaking career formally began in the mid-1980s. Over the course of the past thirty years, Michael has progressed from cellar hand to Vice President, Winemaker at St. Supéry, where he built a state-of-the-art winery, which employs techniques of double hand sorting with old world punch down maceration in small lot open top fermenters, along with the more recent technologies, including optical sorting. Michael first worked as St. Supéry's winemaker from 1996 to 2001 and returned as the winemaker again in 2009 after a sabbatical where he expanded his scope by building a winery and planting a mountain vineyard. During his tenure at St. Supéry, he has been instrumental in the continuous improvements to both the Dollarhide Estate Vineyard and the winemaking program. Michael created the distinctive style that made the winery a benchmark producer of Napa Valley Sauvignon Blanc, and developed our first Bordeaux varietal-based blends. 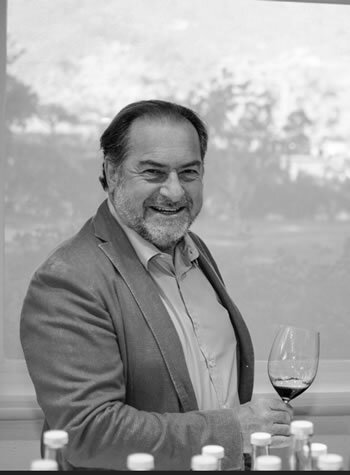 Michael's credentials include accolades from some of the most esteemed experts in the industry, including oenologist and consultant Michel Rolland, with whom he collaborated with to help develop St. Supéry's proprietary red and white Bordeaux varietal blends, Élu and Virtú. Rolland says, "Michael Scholz is on my list of great winemakers from around the world." The winemaker's choice of oak is like a chef's choice of ingredients. The barrels give us an opportunity to enhance expression and encourage structure and maturity. The natural combination of the soil, the harvest season and the oak form the future of what you'll taste in two years, or many years later. Michel began his work as an oenologist in 1973, a time when modern wine was in its infancy. In 1985 he was offered the opportunity to study the ways to maximize the potential of California's wines, and his life as a global winemaking consultant began. He has since worked on four continents, more than a dozen countries, and over 150 different proprieties. Michel continues to advise clients around the world, in addition to serving as the winemaker for properties in Argentina and Bordeaux.